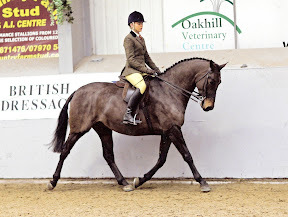 Having been looking for a dressage pony on and off for several years (including a trip to Germany without success) I was casually browsing the internet and came across the eponymous DPUK. The actual process of buying DPUK Baby Power took a few months owing to sad personal circumstances but Gill was extremely patient and in October 2014 Tickle passed the vetting and came to live down south. Tickle is exactly as Gill described on DPUK web site "having the desire to go forward, being bright and sensitive with movement to die for- she has been nurtured to be confident and trusting, backed and ridden away without force or with any shortcuts". 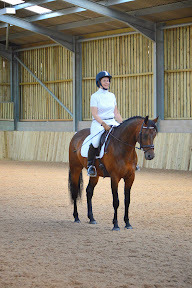 Throughout the buying process and afterwards Gill has been incredibly helpful, even offering to post me a saddle on loan when I was struggling to source a suitable saddle. Gill was also extremely supportive when I lost a horse following a distressing illness (indeed she actively discouraged me from making any rash decisions on purchasing another horse whilst I was emotionally distressed). Tickle is a delight to own - she is well mannered yet full of pony character, and never fails to cheer me up at the end of a difficult day. In the four months that I have owned Tickle, she has been to two stay away training sessions, loading and travelling quietly (the first time on her own), settling into strange stables and taking new experiences such as being ridden in an indoor school with gallery in her stride. A perfect combination of sensitive thoroughbred breeding with the warm blood "look at me" attitude! I am writing to say a big thank you for introducing me to the best pony in the world. We didn’t come looking for him we actually found each other. We came looking for a pony for my sister and you were so helpful with all your advice and concern about us finding the perfect pony. Once we decided we wanted Miniman, you asked me to come and spend some time with him to make sure we were happy with him and him with us. He has now been with me since November, and you are always at the other end of the phone if we are unsure about anything. We have become good friends. I would recommend you, and your horses and ponies to anyone. My only wish is that we lived closer to you. Thank you again and I am so glad I met you. Miniman loves to jump, he doesn’t really like jumping little jumps but he prefers bigger ones. 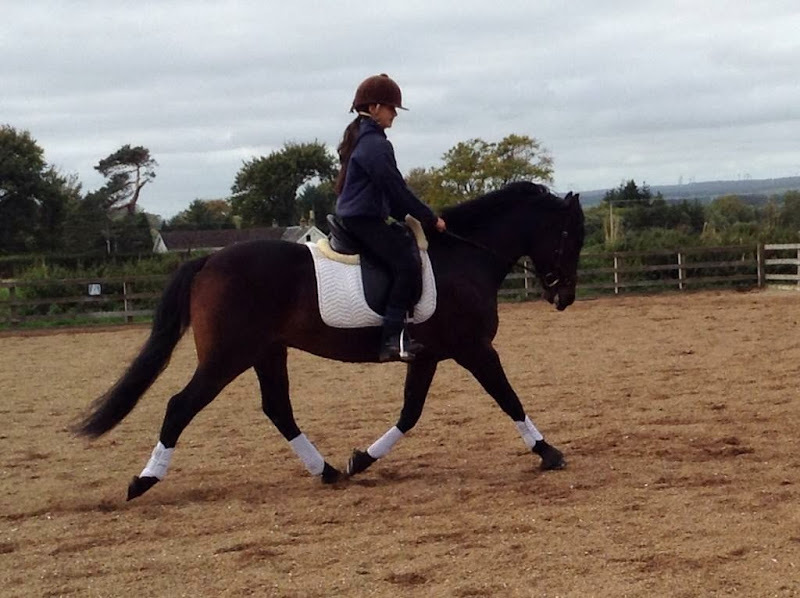 He has a nice bouncy canter, and looks lovely when he goes in a shape. He has a very gentle nature and loves cuddles. He is lovely to handle and has made lots of new friends in his new home. He does like to eat so I have to give him lots of exercise which he loves. Sometimes in life, things are meant to be....! I am lucky to be a friend of Jo Rose and a fan of dear Sprite whom she purchased from Gill at DPUK. Jo knew I was looking for a general riding horse and after speaking to Gill, she called to tell me about a lovely 7yr, 16.1hh bay mare Gill was looking to home. I then had a great chat with Gill, in which she described Missy exactly, and honestly. I waited excitedly for the video and photos and it wasnt too long before mum and I made the 6 hour journey from Kent to Lancashire to see her .....and fell for those big kind eyes. Gill and her family could not have been more welcoming and after a coffee, we were able to tack up and were off out hacking and then riding in the school. 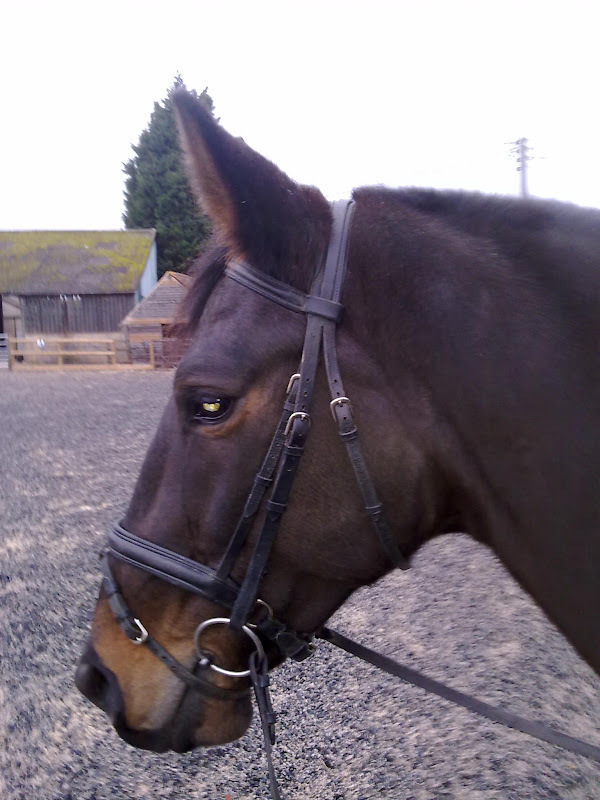 At no time was the horse 'sold' to me - Gill just let me get on with getting to know and understand her. I was able to ask lots of questions and handle her and following a lovely lunch, we headed back down the motorway... Two weeks later, having passed her vetting, Missy arrived in Kent... and wondered where all the green grass had gone ! We have had a lovely few months so far; her wonderful temperament and trust in everyone shows how well educated and nutured she has been with Gill and the girls. She is a special, thoughtful little horse and I know why Gill was interested in finding a home for her to enjoy life and be loved. She is enjoying hacks in the countryside, some school work and mooching in the field with her friends, ensuring she rolls in the muddiest patch to be found....! Everyone thinks she is lovely; her warm, friendly temperament is a winner for any polos and carrots on offer - we are looking forward to a great year together. I would wholly recommend purchasing a horse from Gill and her family. The lovely, relaxed and knowledgable environment at the yard combined with Gill's natural approach to training and welfare, serves their horses well. But above that, you gain a friend and someone who will always be there to support you going forward, is interested to hear how you and your horse are getting on and ready to offer advice if needed. Here's some feedback for your website. As well as saying how fab Sprite is, I also think it is really important that you have been so cool too. It's partly that you give the horses the best start in life, and partly that you make the whole "buying a horse" thing a pleasure. Hope you like this anyway. Sprite is just so fab. He is outgoing, happy, loves life, and is so confident and secure in his personality that you can’t help loving him. Special boy! He also happens to have near perfect conformation, very correct movement, is very clever and also willing and motivated in his work. 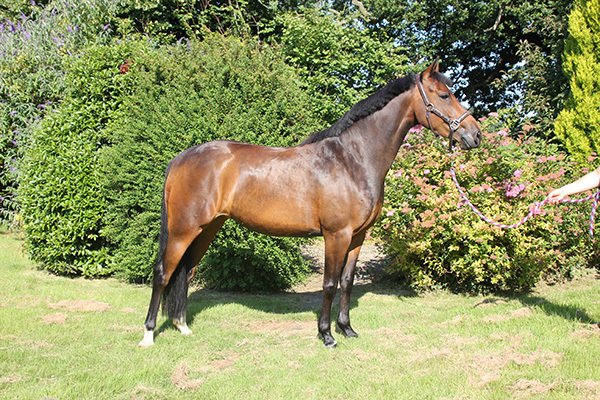 Wowzers – the perfect dressage horse (who is also very much enjoying hacking and jumping – he’s a fun-loving kinda guy)! And on top of all this, he has clearly had a wonderful start in life with Gill and her family and friends. He has no hang-ups, he is bold and brave and trusting, and has been started really really well. 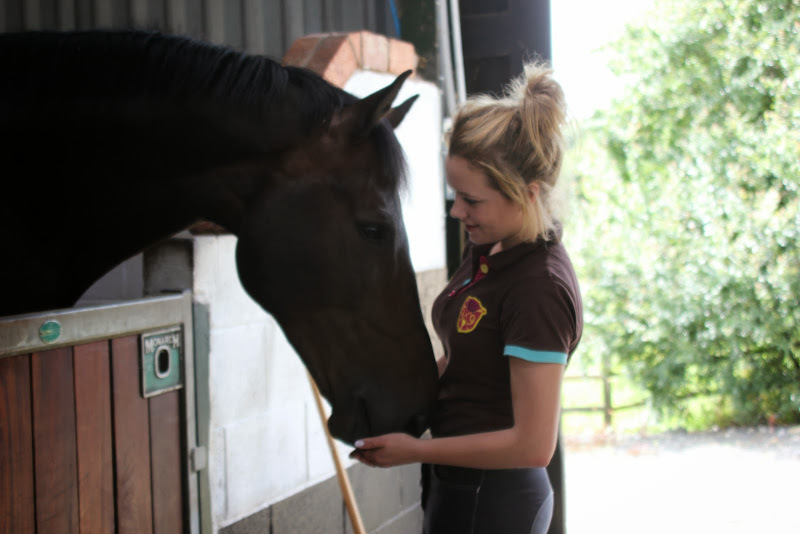 I can’t imagine a more perfect horse for me – he puts a massive smile on my face each day. Working with him is a joy – he picks things up so easily even when I don’t explain things as clearly as I should (he is very forgiving like that and, as Gill has said, he really doesn’t bear a grudge). His natural ability and trainability means that he should be able to go as far in dressage as I am capable of taking him! I first contacted Gill in response to an advert about Sprite, in the frozen winter of 2010/11, when he was rising 4. In the ensuing email and phone conversations I guessed that Sprite would be the right kind of horse for me, and Gill guessed that I would be the right kind of owner for him. And when I eventually met him I just knew straight away that he was right for me. 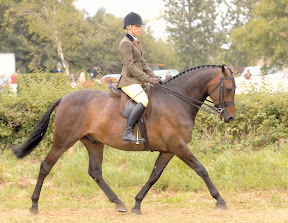 Gill really has been fantastic right from the word go – I have never met anyone that I would rather buy a horse from! I love her warmth, and her openness and honesty about her horses: she clearly knows them so well and has a talent for understanding them as individuals. And she seems to have the same kind of intuition about people. She has been incredibly supportive and interested in Sprite’s and my progress together – she has always been happy to discuss ideas, and also just to hear about how Sprite is doing. My firsts Glimpse of Amadeus as a foal totally took my breath away, from his stunning athletic paces right thought his beautiful conformation. Not only this but he had the most fabulous temperament and had been handle so well which is often a rarity when you find an animal of his calibre. We made an instant connection and I knew from that moment that he was special and that I just had to have him. Everything about Amadeus has been unbelievably easy as he is so trusting of me. 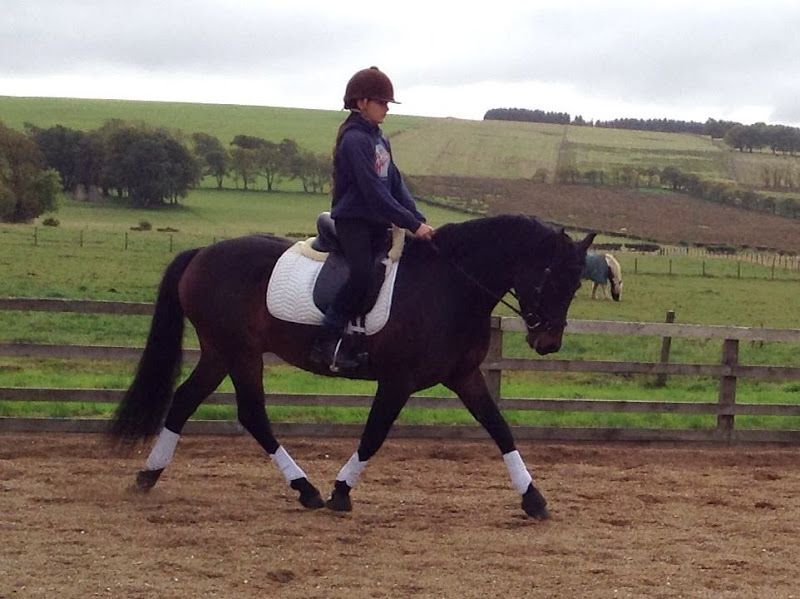 Right from the start he has been so trainable and keen to please and breaking him was a pleasure. He gives an amazing ride and enjoys his job, always giving 100% commitment to everything I ask of him. I love Amadeus more than anything and could not imagine life without him. "Quite simply, as soon as Debbie saw Monty she fell in love with him. She has a really good eye for a horse and over the years has picked out our star horses. Debbie had seen Monty on Gill's website and fell in love with him just from the pictures, never suspecting that he would be the best present ever. As Gill's farrier for many years, I know her horses well and Mama Mia, Monty's dam is a superb mare and I have seen all her foals grow up. 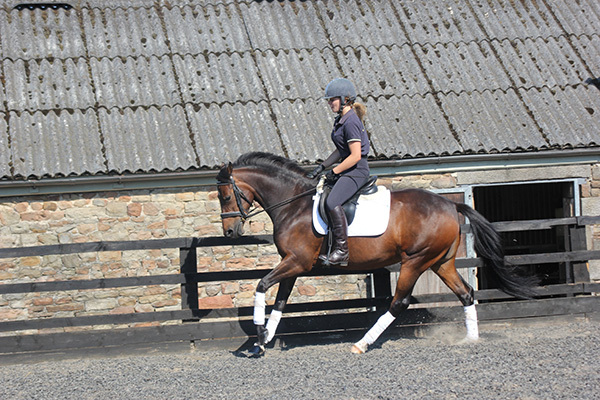 Monty is the complete package and I mean by this that I take everything into account when I buy a horse, bearing in mind I see horses of the highest quality through my work and my eventing and dressage. I loved how Monty looks, how he moves towards me, I love his breeding, his power comes from behind and the fact that he is by a second generation Sandro Hit stallion - Monty has the most fantastic temperament and is the most sensible and trusting young horse we have ever owned. He has got the wow factor - it is something special inside him that I cannot put a name to, but I know its there." I first met Wurly when I was visiting the Jollies family as their hairdresser! Gill knowing that I used to ride as a child asked if I would like to see their latest foal!! I of course jumped at the chance as I had never met a new born foal!! We walked up to the stable door and this little chap jumped up at the door and tried to get as close to us as possible, he reminded me of an over friendly Labrador!! I asked if this was normal of foals? Having not met one before! she just said that he was definitely one on his own! 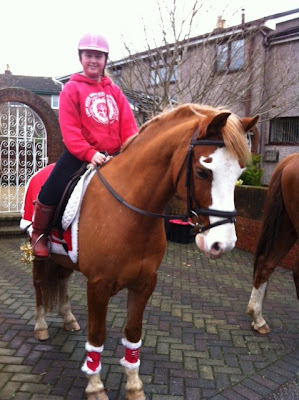 So 18months went by and with Gill’s help I took up riding again and decided that I would buy my own horse. At age 2 I took him away to a Parelli clinic weekend at Christine Worthington’s in Chorley where he had his first “sleepover”. 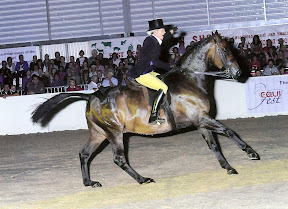 He was there with 5 adult horses and people couldn’t believe his age he behaved impeccably and I put this down to the fact that all Gill’s horses are so well handled from birth and well fed so people just found it hard to believe that he was only 2! He loaded into the trailer first time as he just knows that nothing is going to hurt him and that we, his handlers would never ask him to do anything that would compromise him. And the love story continues…….. 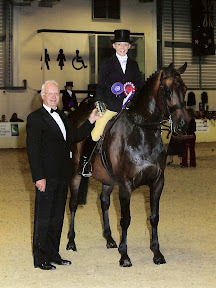 I have worked with young horses for thirty-five years competing my horses at Affiliated level at both Eventing and Dressage disciplines. In my experience I have seldom come across a horse with such a genuinely kind and trusting outlook as Bea. She has been a joy to be with from the moment she stepped out of the trailer to her new home with myself three years ago. Bea’s enthusiasm and aptitude for learning with her natural desire to work and please her handler is outstanding, as is her natural ability to retain and reproduce what is asked of her. I have been able to watch her grow and develop into her truly beautiful temperament and top quality conformation, balance and movement which she has inherited from her Dam and Sire. Bea is now rising four and is in the process of being started for ridden work, which is proving to be extremely straightforward due to her generous disposition and outlook on life. I attribute this to the sensitive and intuitive way that she was first introduced to human contact by her Breeder (Gill and her family) as I feel that this has undoubtedly made my job as handler and trainer one of ease and pleasure. 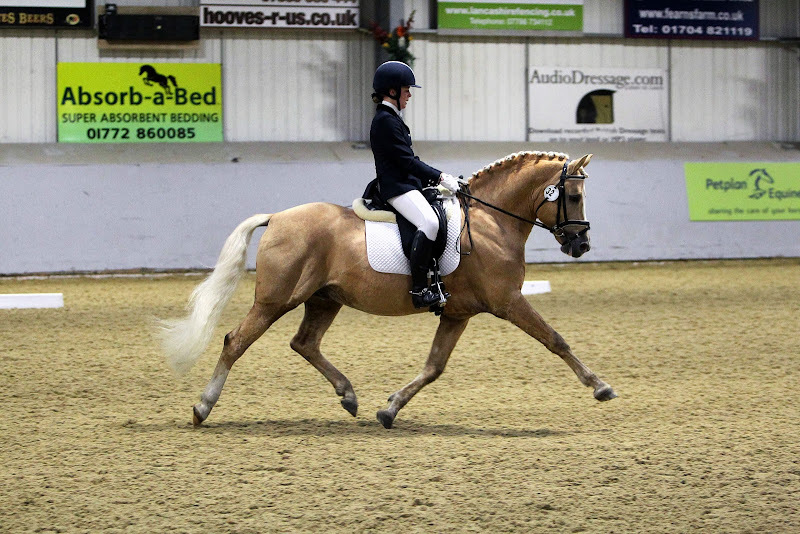 Faye & Amadeus winning at the BSPS Winter Championships qualified for R.I.H.S Riding Horse and Intermediate Show Riding Type.